NEW HOURS NEW HOURS - COD fishing 6AM to 4PM Wed. thru Sun. The change you’ve been looking for! Welcome aboard the family owned, and operated SEVEN B’s V, she is an 80 foot “Lydia” custom fishing yacht, with a capacity of 113 persons. 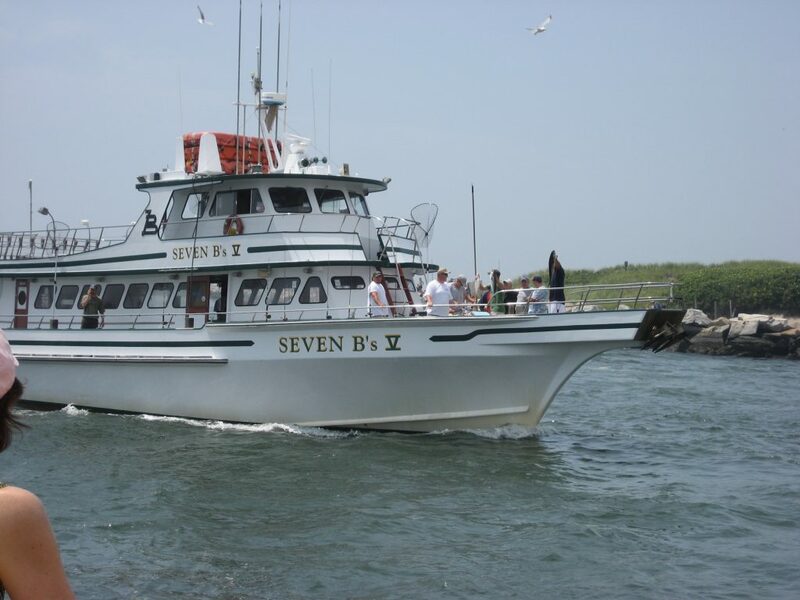 The Seven B’s was once again voted the cleanest boat with the most professional and courteous crew. We make ordinary moments extra ordinary! Come and join us today for a great day of fishing and company, we would love to have you as a guest! Seven B's V - "The Only Good Addiction"
The White and Green Fishing Machine! Copyright © Seven B's V. All Rights Reserved.